Carpenters and joiners work with wood carrying out a wide range of tasks including fitting out commercial and residential buildings. You don’t need any formal qualifications to begin working as a joiner or a carpenter. However, most employers require you to have some relevant experience as well as a vocational qualification. Relevant college courses include Diplomas and NVQs in subjects such as Site Carpentry and Working with Wood. Alternatively, you could try and find a firm or tradesman willing to take you on as an apprentice. Apprenticeships last up to three years and allow you to earn a small wage while you learn your trade. Once you’re qualified, the Institute of Carpenters offers a range of Continued Professional Development courses. Carpentures are known as "chippies" the term comes from chipping away at wood, so expect a new nickname. Carpenters and joiners work with wood, carrying out tasks such as making furniture, installing wooden fixtures and fittings or, on a larger scale, helping out on construction projects. The work can be complex and so the job often involves great skill, making it challenging yet also highly rewarding. Most joiners and carpenters work standard 40-hour weeks. However, you may be required to work overtime, including in the evenings or at the weekend, though you may earn more for doing so. Alongside classroom training, you should also aim to get as much practical experience as possible. Enquire with local firms or sole tradesmen about the possibility of being taken on as a labourer or joiner’s ‘mate’. While the money may not be great, the experience you gain may be invaluable and if you really impress your employer may offer to support you through your vocational training. When it comes to carpentry and joinery as a career, getting paid work and a vocational certificate or two is just the beginning. If you want to push on and enhance your professional credentials there are a number of paths open to you. The Institute of Carpentry (IOC) (http://www.instituteofcarpenters.com), for example, offers a Master Certificate Scheme, geared towards recognising “excellence in the art, craft, science and practice of carpentry and joinery”. Earning the certificate can take significant amounts of time and effort, though it is worth it in terms of improving your career prospects and earning potential. Alternatively, higher education colleges will often offer a range of vocational certificates, including Level 3 Diplomas and NVQs in wood working and joinery, most of which can be taken alongside working on a full-time basis. As a trainee – for example, working as a joiner’s mate or as a site labourer – you can expect to earn as little as £13,000 a year, though pay may be slightly higher in London and other big cities. Once you get experience and are a fully-qualified joiner, your pay can go up to around £24,000 a year. As a self-employed carpenter or joiner, meanwhile, you can set your own hourly rates and so may earn upwards of £30,000 a year, particularly if you are able to offer a specialist skill such as working with rare woods or heritage pieces. Other attractions of working as a carpenter or joiner include being able to work with your hands in a creative way, enjoying the satisfaction that comes with a job well done and working in different environments with a range of different people. Carpentry isn’t for everyone. For starters, if you’re not creatively-minded with at least a little artistic flair, you may well struggle to get ahead in this career. Even if you have the talent, competition for new work can be tough and, of course, until you get properly established, the pay is far from great. Carpenters and joiners are employed in a variety of capacities, from sole tradesmen through to those working for large companies or public organisations. 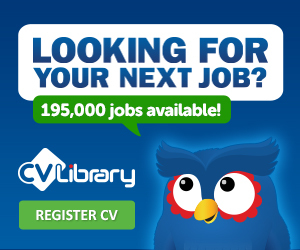 A good place to start to look for work is using our job search there should be thousands of adverts for carpenters of all ages and experience levels. Other good ways of finding work include asking around local construction firms or advertising your services on a freelance basis, or try your local Job Centre which we have on site for you. Many carpenters work in the theatre, making and maintaining stages. The Stage (http://www.thestage.co.uk/) is an excellent place to look for carpentry jobs in the arts world.